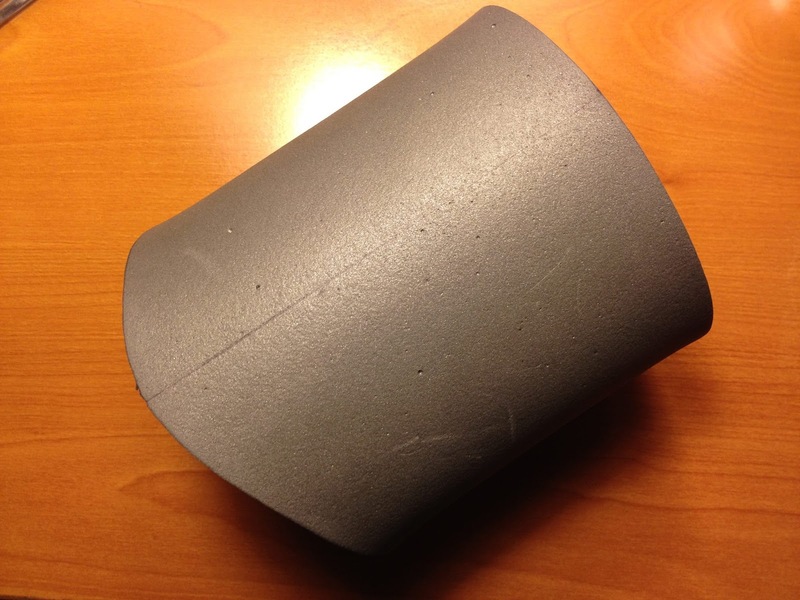 Created a second bracer as I'm working to prep the surface of the first. I know I can't finish the Varian Wrynn costume in time for Halloween, or build out a completly new costume for that matter. So I want to add something new to the Blood Elf costume I wore at Blizzcon and use that. 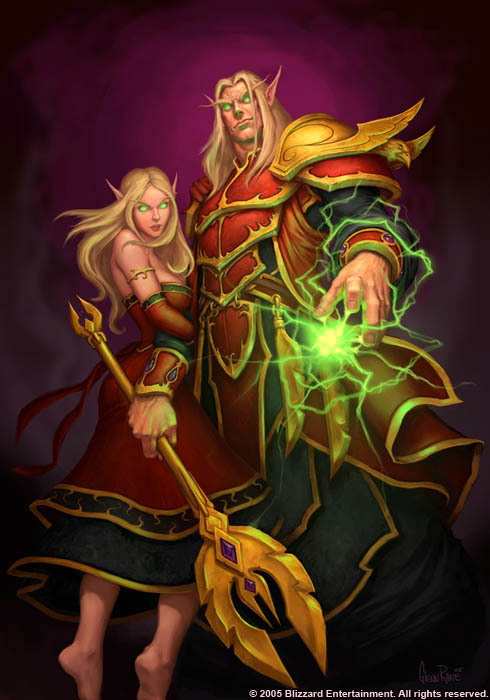 I never got around to creating the bracers shown in the concept art. I'm going to try and build the bracers from EVA foam. 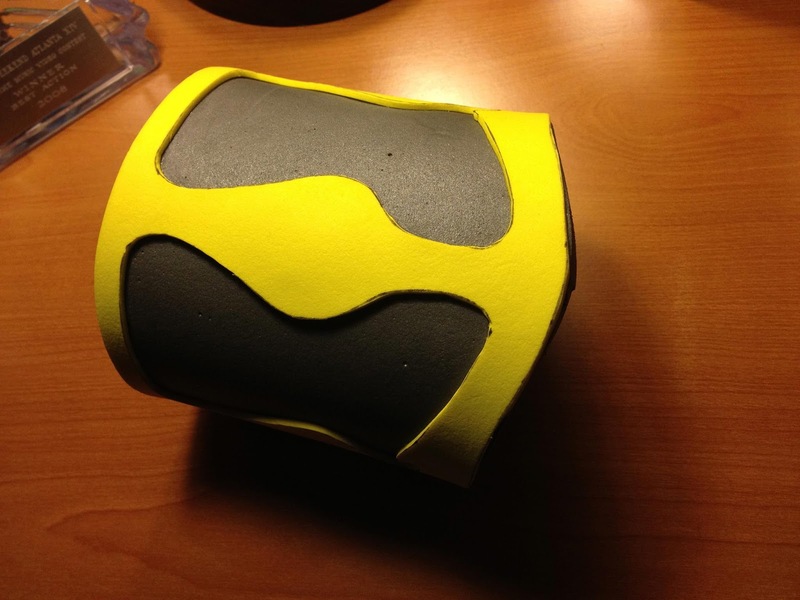 Here I've glued the foam detail piece to the larger foam bracer I made Friday. While this looks okay at a distance, up close it looks to much like foam. Next step is to prepare the surface so it can be painted. 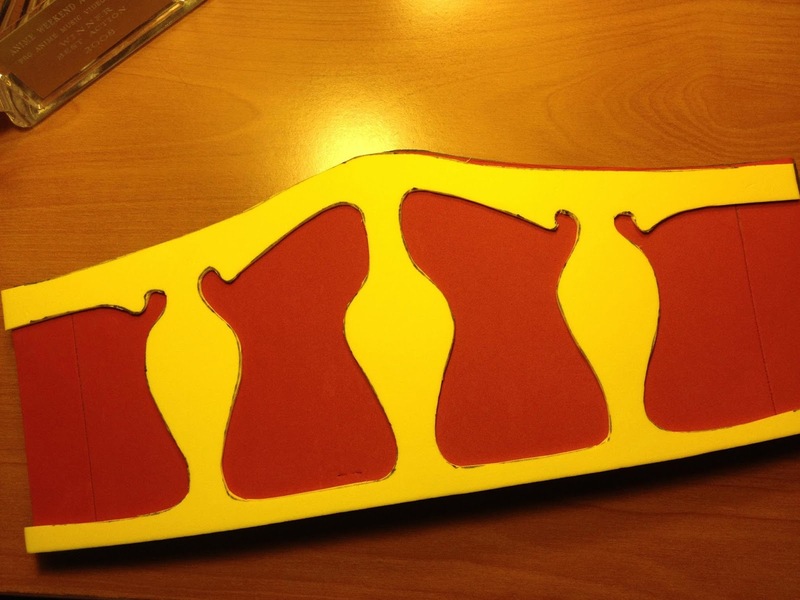 Blood Elf Cosplay - Bracers! 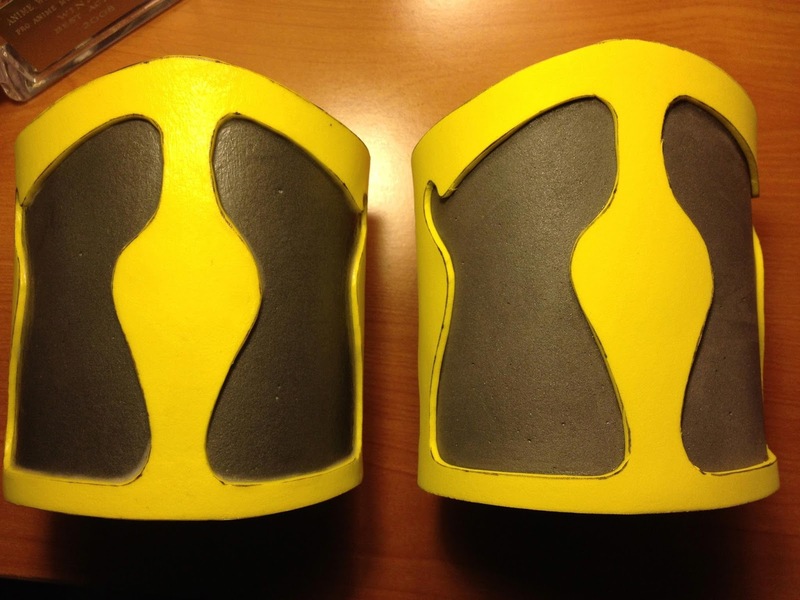 More on the foam armor bracer I talked about Friday. Over the weekend I cut the bracer details from some yellow foam. First experiment with EVA foam to make costume armor. Doesn't look like much now, should have more to show off after the weekend. 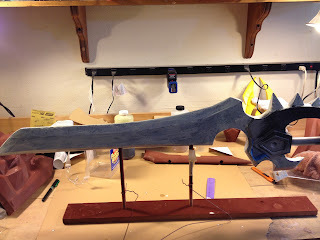 My test of applying resin to the foam blade on Shalamayne was successful, so over the weekend I applied it to the main blade and hilt details. 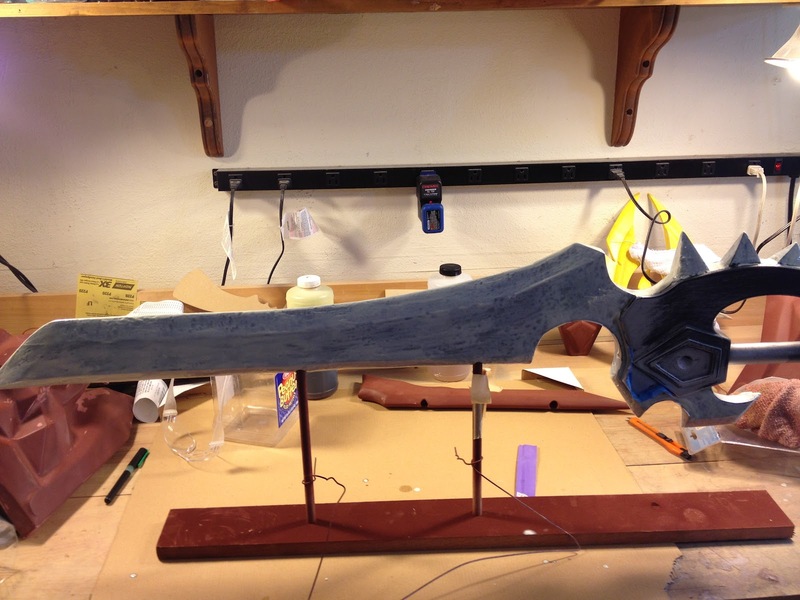 As plastic casting resin doesn't flow like paint, the coat is uneven, so it will require quite a bit of sanding to prep the surface.